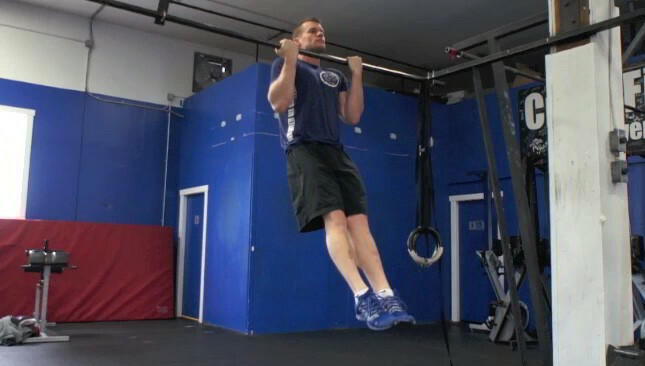 Jump up on the bar using a chin-up grip, palms turned in approximately shoulder width apart. Hold your chin over the bar as long as you can. Lower yourself back down when your muscles are fried and you are no longer able to hold the position.